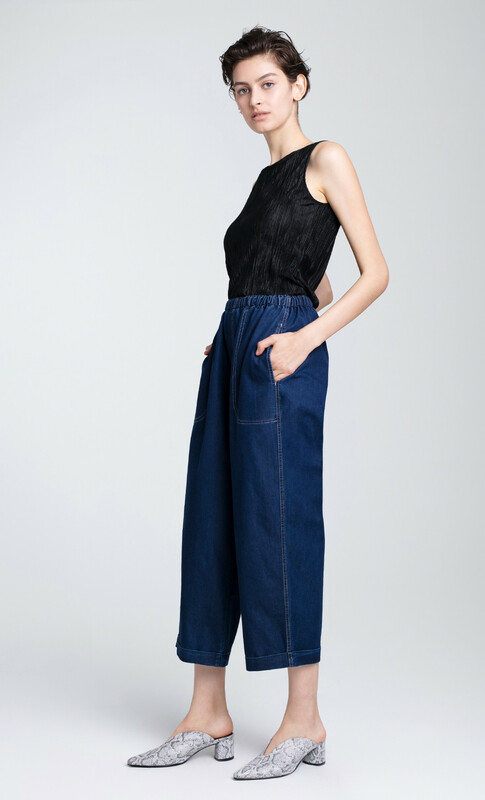 DORIN FRANKFURT’s jeans are made from Japanese-sourced denim that beautifully holds its shape. 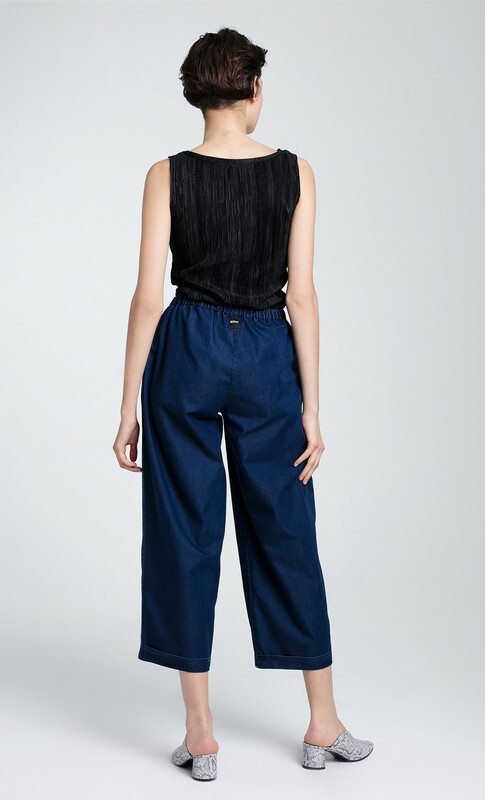 Woven with linen for breath-ability, these jeans are designed to sit high on the waist and are detailed with an elasticated waistband for comfort. 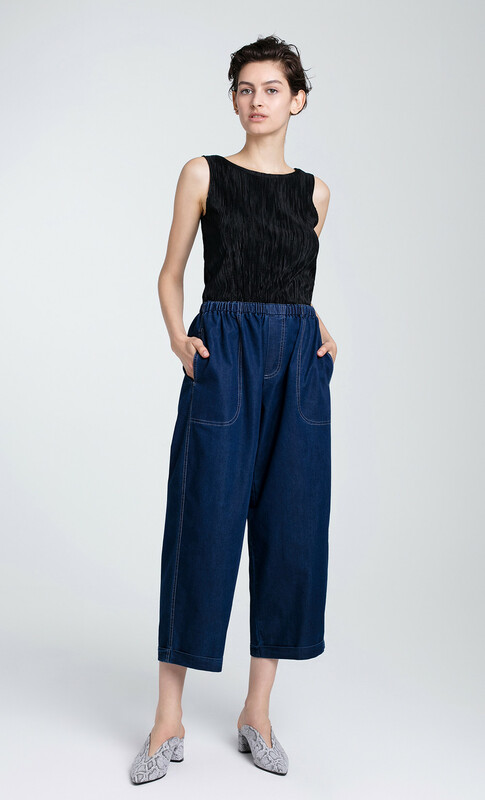 The flattering wide-leg silhouette hits just above the ankles so you can show off your sparkling shoes from our Spring-Summer collection.